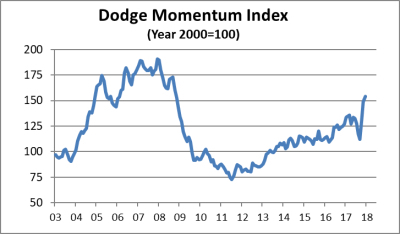 The Dodge Momentum Index grew 3.6% in December to 153.9 (2000=100) from the revised November reading of 148.6. December’s increase was due to an 8.6% jump in the institutional component of the Momentum Index, while the commercial component eked out a 0.7% gain. For the full year 2017, the Momentum Index averaged 132.3, up 10.7% from the full year average for 2016, with similar improvement for the commercial sector (up 11.4%) and the institutional sector (up 9.7%). 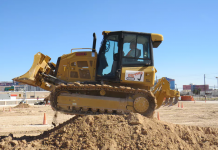 After retreating during the third quarter of 2017, the Momentum Index regained its upward track in the fourth quarter, which enabled December’s reading for the Momentum Index to be up 20.9% compared to the same month a year ago. 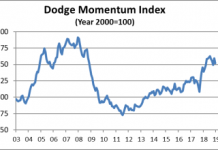 The continued strengthening by the Momentum Index in 2017 suggests that nonresidential building construction activity will advance further during 2018. 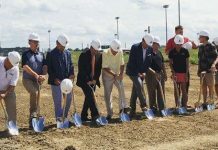 In December, 12 projects each with a value of $100 million or more entered planning. 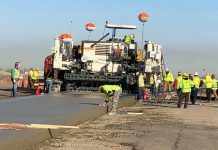 For the institutional sector, the leading projects were a $200 million renovation of the Smithsonian Institute Visitor Center (The Castle) in Washington DC and a $175 million Veterans Affairs Living Center in Long Beach CA. The leading commercial projects were a $100 million hotel on Harvard University’s campus in Allston MA and a $100 million office building in Little Rock AR.